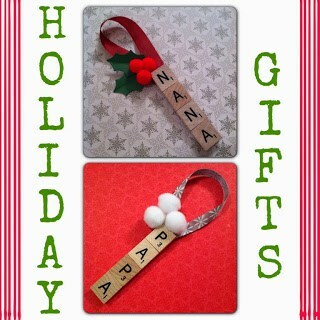 Ready to trim the tree with some of the cutest homemade Christmas ornaments? I can hardly wait to put mine up! The moment that turkey is cleaned up on Thanksgiving, my tree comes up from the garage to occupy its space in the middle of my dining room! While the process of getting my tree up is always a bit of a nightmare (prelit trees are NOT as easy as they sound, my friends), the trimming part always gets me in the holiday spirit. 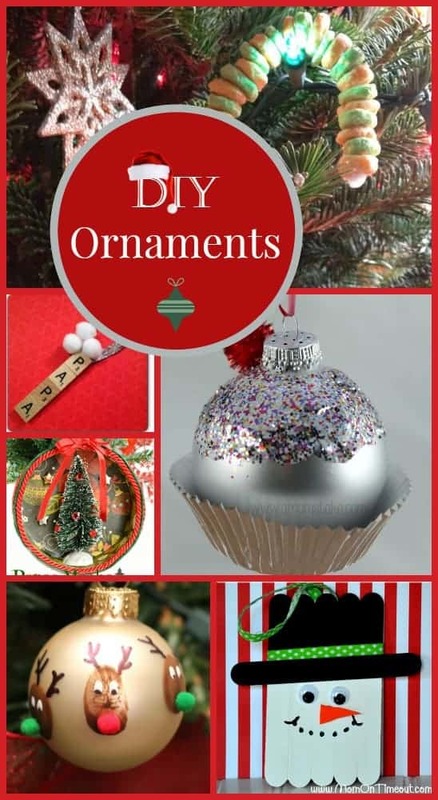 This season, adorn your fir with some adorable homemade Christmas ornaments that you can make with your family! Who says popcorn is the only food that works well a trimming supply? 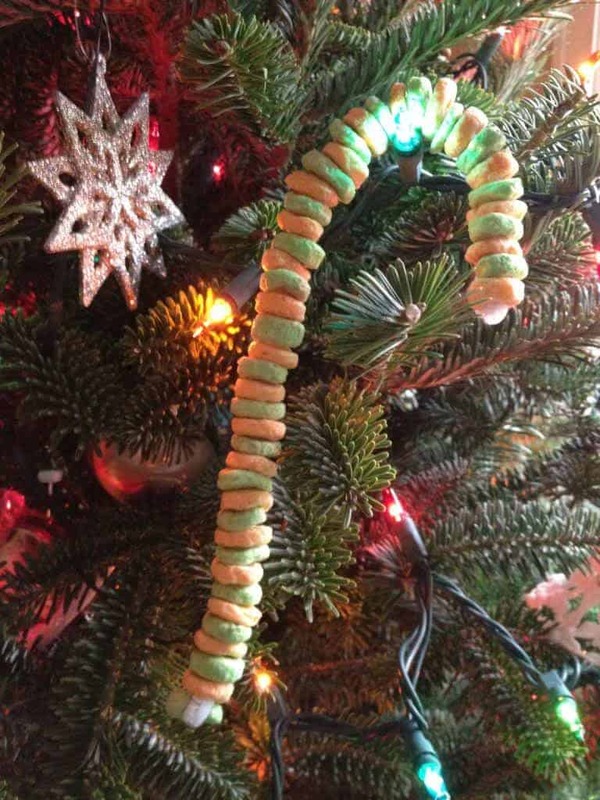 Check out these cute DIY Cereal Candy Canes! They’re perfect for the kids! 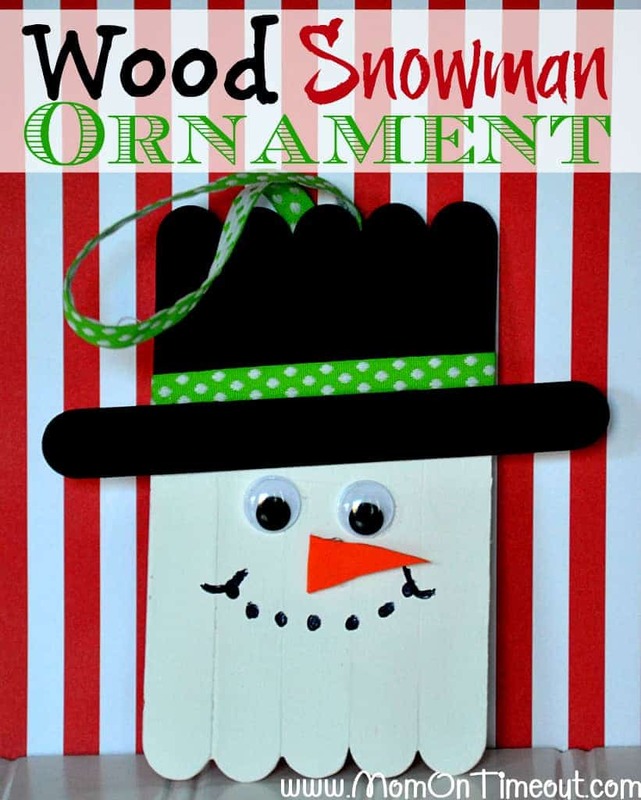 Popsicle sticks, (affiliate link) googly eyes and a few bits and pieces come together beautifully to create these darling snowman ornaments from Mom on Timeout! This is perfect for preschool kids. 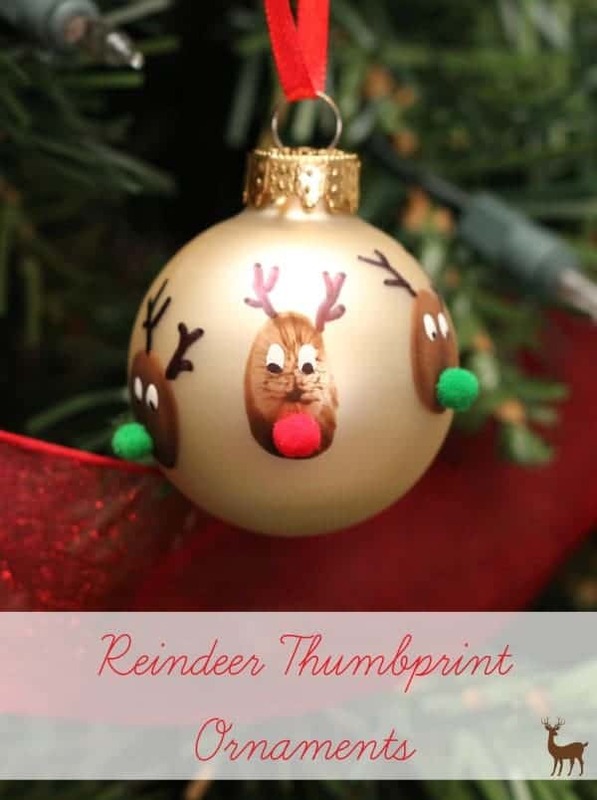 I am just completely in love with these Reindeer Thumbprint Ornaments! They’re such a sweet way to capture your child’s precious little fingerprints for generations to come. How beautiful is this Paper Mache Shadowbox Ornament? Such a unique idea. I love its old-time charm! It will be a great gift idea too. My mother loves getting homemade christmas ornaments. Give everyone in your family their very own DIY Letter Tile ornament! Then ask them to hang it in a special spot on your tree! It is great for school aged kids as it practices reading and writing. 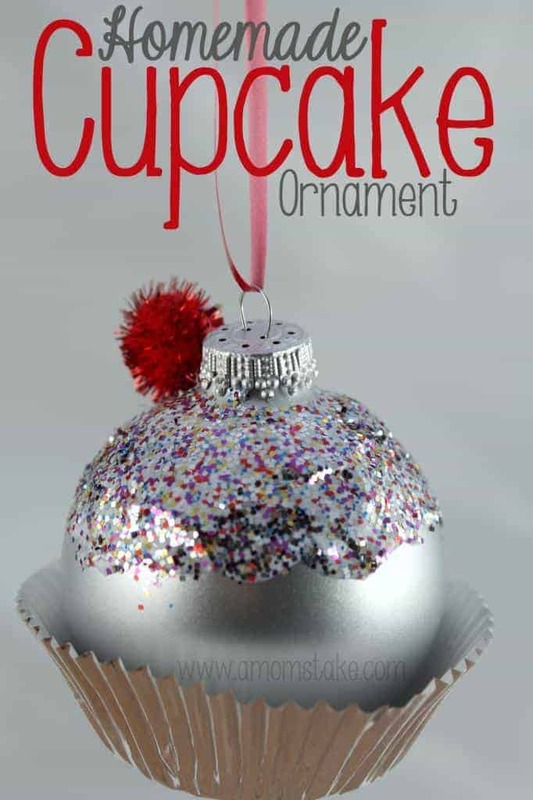 This super sweet cupcake ornament looks good enough to eat, don’t you think? Plus it’s so easy to make, even I could pull it off! There you go, my frosty friends! These beautiful handmade Christmas ornaments should keep you busy crafting through the holiday season! If you’re not one to trim your tree the day after Thanksgiving like I am, well, you can still get started on making them for the big tree-lighting ceremony in your house! 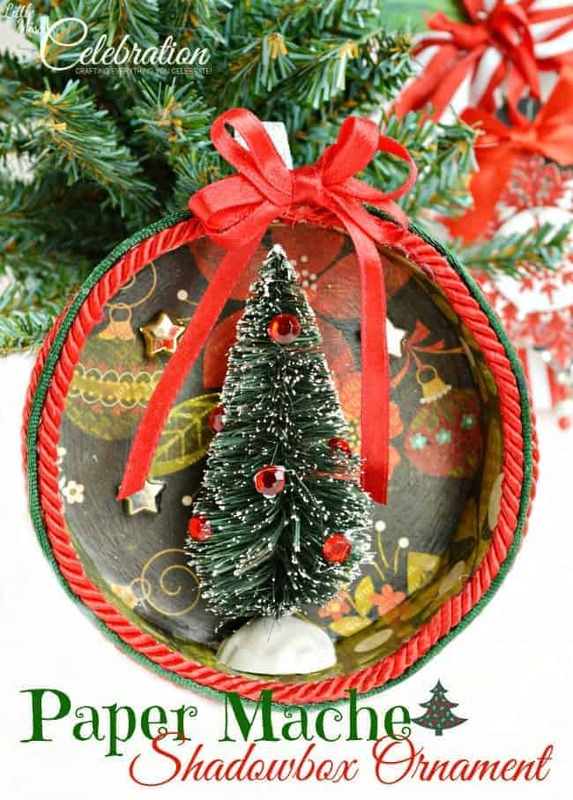 Do you have any favorite handmade Christmas ornaments? Spread that holiday cheer and tell us about them in the comments! Get inspired by our Christmas finds on our Pinterest board. We have been making a few ornaments but I would love to start this over the summer when we have more time. I think the wood snowman is my favorite. We still put handmade ornaments from my childhood o our family tree, they are great keepsakes! Love these ideas! I still have handmade ornaments that I made when I was a kid. The reindeer is so cute! You have some great ideas there. They all look terrific! These are all so cute! I especially like the one made like a sprinkled Christmas ornament cupcake! It’s just perfect! I’ve been seeing a lot of tutorials about making your own ornaments, I think I would like to do this possibly this year. The Paper Mache ShadowBox Ornament is too cool! We make new homemade ornaments every year for our tree! We are going to have to make the cute cupcake ornaments you have posted above for sure! I think homemade Christmas ornaments are the best. I love that snowman one! I’ve always found that homemade items make the Christmas spirit so much bette than store bought ones. pretty nifty! I love all these ideas. I love the candy can idea. We stopped buying those a long time ago and this would be and awesome alternative. The cereal candy cane is so cute. Lots of great ideas. Awesome! i like things that come from the heart and not the store. Those are great! We hung the cheerios one outside for the birds and squirrels! They’re all so precious, but my favorite is the reindeer thumbprint. Adorable! The cupcake ornament is quite cute!